Military art is one of the oldest art genres in developed civilizations. Throughout centuries, rulers often commissioned war paintings that would celebrate their victories and even had their best court painters designated for the job. And though depictions of battle scene date back to ancient times, portrayals of other aspects of warfare, such as the suffering of casualties and the grief of civilians, have appeared more recently, in the nineteenth century. With the development of warfare, military art further developed to include depictions of uniforms and various weapons and vehicles such as tanks and planes. Numerous depictions of ship battles even formed a special subgenre called marine art. In the 20th century another subgenre was created under the name war art. This particular genre encompasses the artworks made by official war artists who painted the battles during wartime. Due to its strong years long impact on lives of so many humans, wars couldn’t remain out of focus of numerous popular Contemporary artists. But unlike their Old master counterparts, the works of Cubists, Surrealists and other artists who depicted the atrocities of 20th-century wars mostly focused on the devastation and the pain they bring to living beings. On the day of the commemoration of The Remembrance Day that’s established to honor those who had died during the First World War we present you with a selection of ten exceptional artworks that do their best to pay tribute to the heroes and the victims of warfare. The Surrender of Breda portrays one of the very few successful battles won by the Spanish army in the time of Eighty Years’ War. 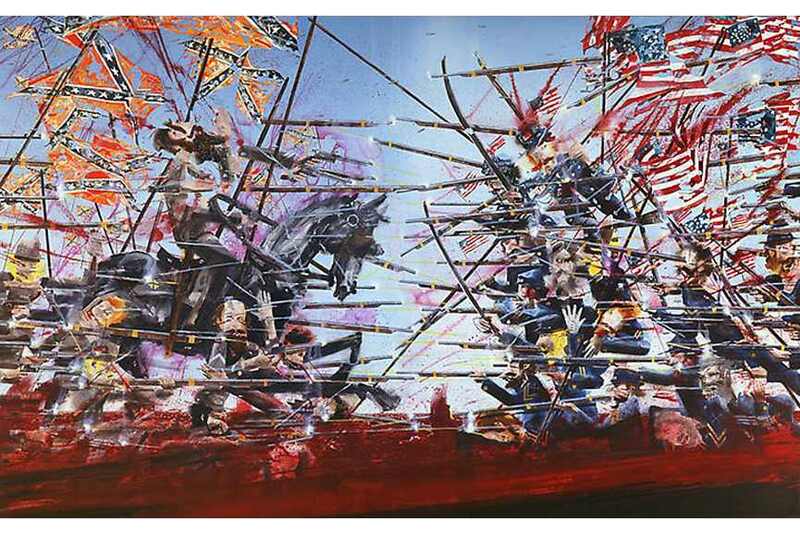 The oil on canvas painting is one of twelve life-size battle scenes painted about the war. Every of the 12 pieces depicts a victory won by king Philip IV’s armies. The artwork placed the emphasis on the reconciliation and not the battle itself by illustrating the exchange of keys that happened few days after the capitulation between Spain and the Netherlands was signed. 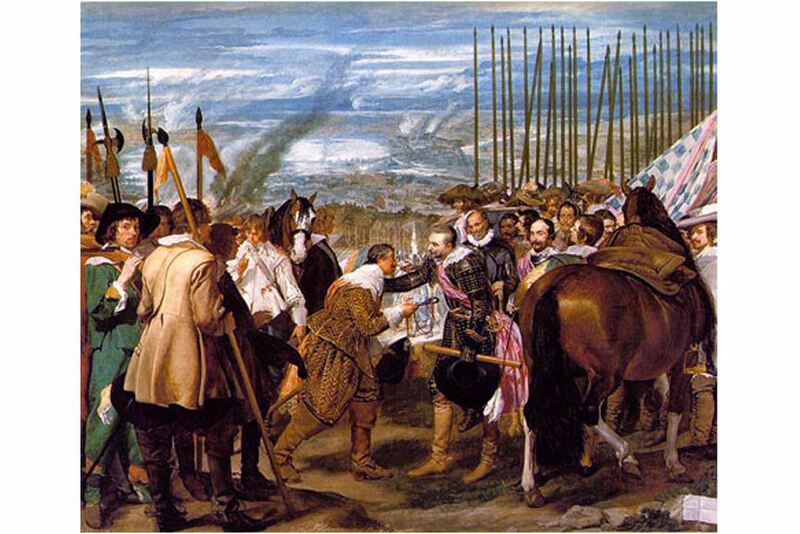 The Surrender of Breda is quite historically accurate and it’s considered Diego Velázquez best work. 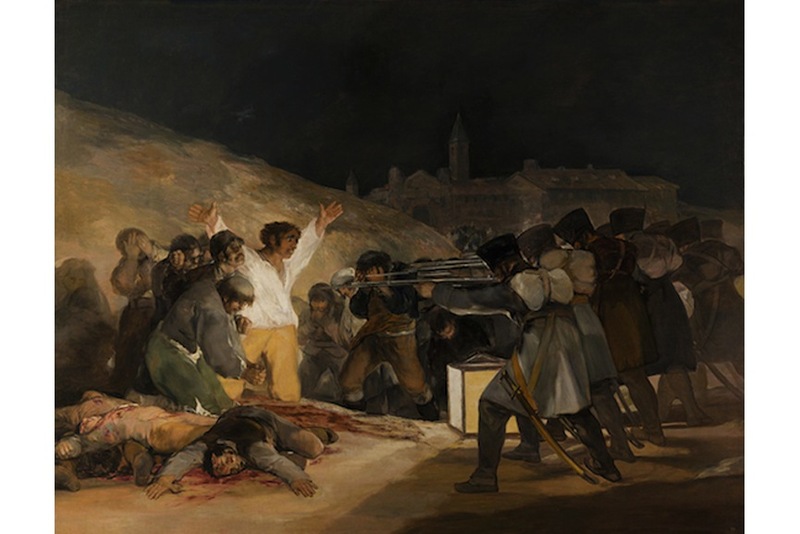 Francisco Goya’s Third of May, 1808 represents a transition from heroic military paintings to a more modern portrayal that continues to dominate our notion of warfare even today. 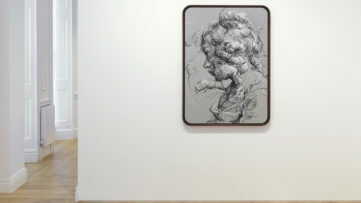 The artwork is focused on two groups of man. On one side we see a rigidly positioned firing squad, on the other, several disorganized prisoners held at gun point. The painter has powerfully portrayed the horrors of war by restricting the colors to earthy and black tones interrupted only by the vibrant red blood of the victims. The piece is dedicated to Spanish resistance to Napoleon’s armies during the Peninsular War. This 1864 creation commemorates the Battle of Cherbourg when two massive battleships (the Union cruiser USS Kearsarge and the rebel privateer CSS Alabama) engaged into a bloody confrontation. 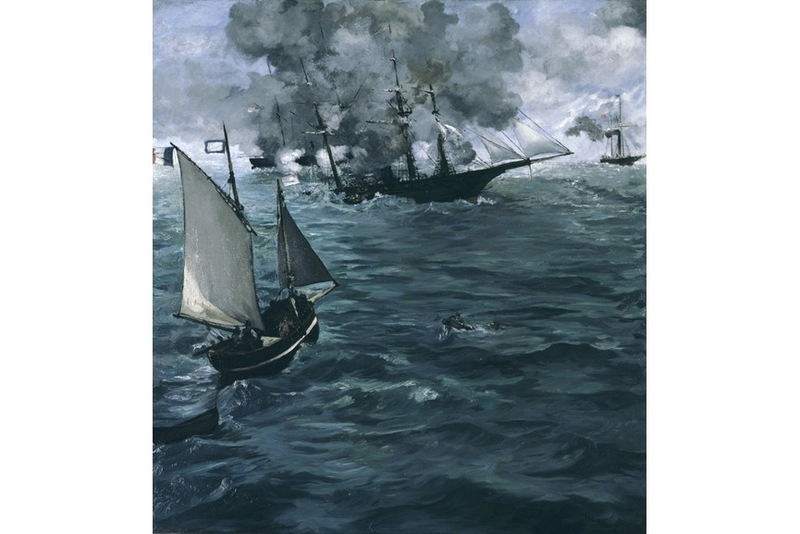 The event that took place in the waters off the coast of Cherbourg inspired then young French artist, Edouard Manet, to visually express this compelling event. Manet haven’t participated in the battle himself so he relied on press descriptions to create this fascinating artwork. The artist’s fascination with water and light shows as the sea, rather than the battle, appears to be the main motif on the artwork. 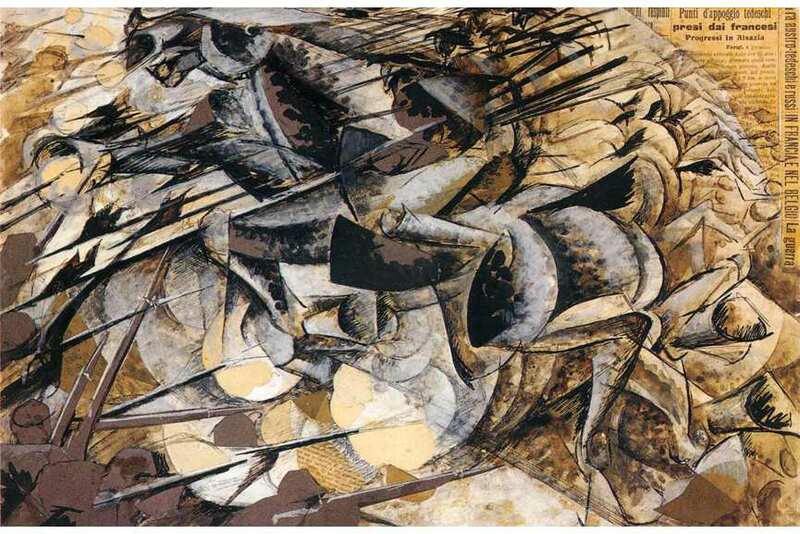 There are several reasons why Charge Of The Lancers greatly differs from other Umberto Boccioni’s paintings. For starters, this is the only painting by the Italian artist that thematically deals with the topic of war. The change in media is also noticeable since this is one of the rare collages ever made by the artist. The fragmented black horse is the main character of the artwork that establishes the prevalence of brute strength over humanity. 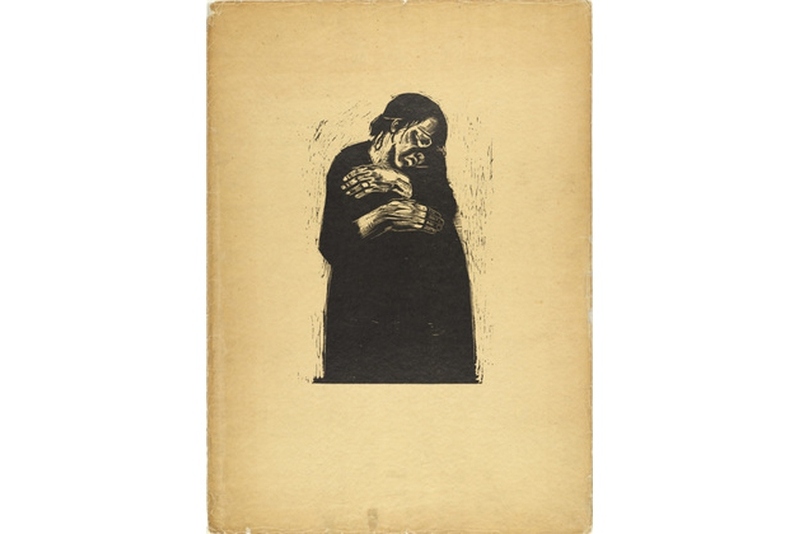 In 1919, just one year after the end of the World War I artist Käthe Kollwitz began to work on her acclaimed War series. 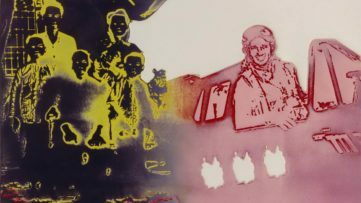 The series was vastly different from similar depiction as it focused on the sorrows of people who were indirectly affected by the war including mothers, widows, and children. This particular image shows the pain of the greaving widow and her deep concern for both her baby’s and her own future. Triptychon Der Krieg (or War Triptych)by German painter Otto Dix represents the personification of the artist’s personal experiences obtained during World War I. 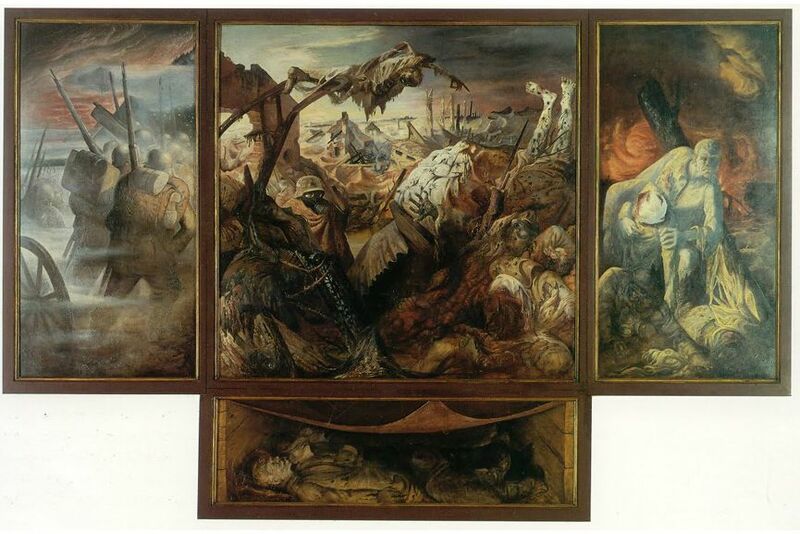 The painting was made in the style of an Old Master and depicts four stages of the war and its consequences. The left panel depicts troops heading into the battle. The central panel shows the battlefield as a place of death while the last two panels portray soldiers coming back from the war and those who were not fortunate to come back from it. Celebrated painting Guernica by Pablo Picasso isn’t the only masterpiece inspired by Spanish Civil war. Surrealist artist Salvador Dali also made a striking and disturbing peace dealing with the same thematic. Soft Construction with Boiled Beans (Premonition of Civil War), painting represents the destruction and self-destruction of civil war through the image of a monstrous character standing over a pile of beans. 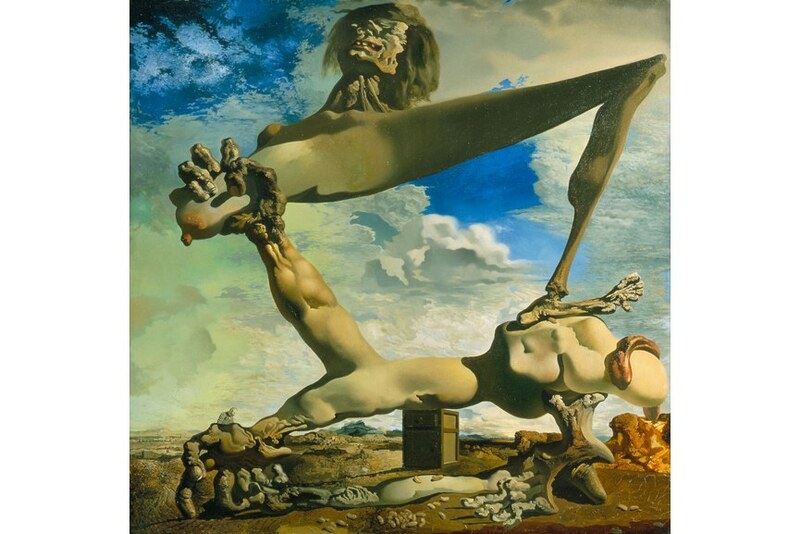 Dali included the beans in the artwork to portray the hardships that people in Spain had to go through during the horrifying war. 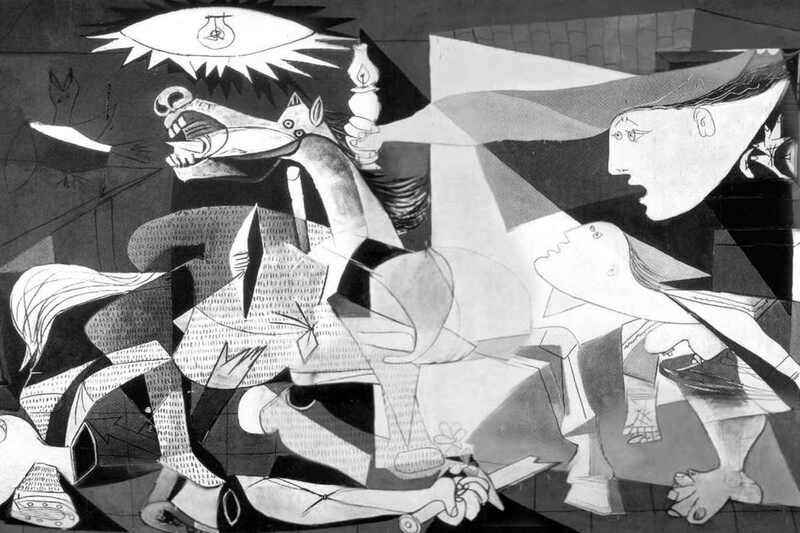 The most famous portrayal of war in the world, the celebrated painting Guernica represents Pablo Picasso’s infuriating depiction of a Spanish Civil War. An artwork created in response to the bombing of Guernica, a Basque Country village in northern Spain is made in the classic cubist style with distorted images of outstretched arms, mutilated humans and animals stabbed and screaming. The painting is considered to be a powerful political statement as well as a Cubist masterpiece. Many equate Pop art with fun colorful images of famous people and consumer goods by this art form always had a more engaged side to it than we give it credit for. 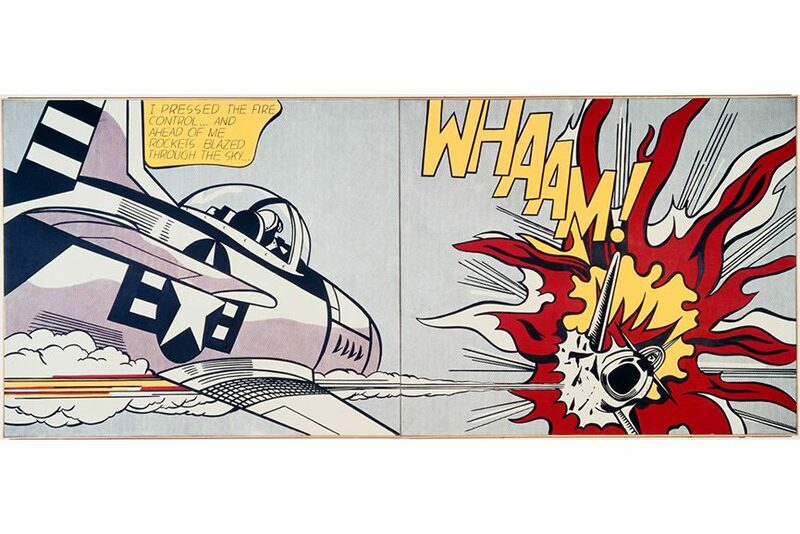 This sinister depiction of an aero battle made by Roy Lichtenstein during the Vietnam War shows that politically engaged side of Pop Art. 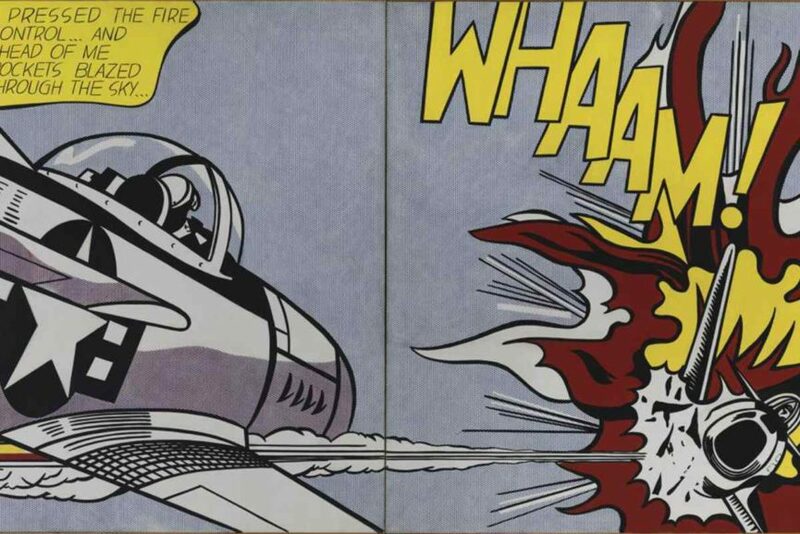 Roy Lichtenstein based this colorful yet disturbing piece on a comic book named All-American Men of War, and the painting exposes the war efforts as a terrifying and dangerous enterprise. 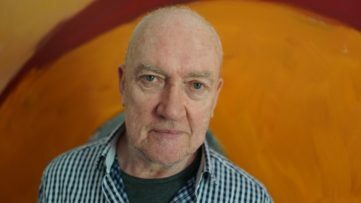 American artist Barnaby Furnas, often depicts Civil War scenes as a way of exploring the issues of politics, gender, race and division. Painting Untitled (Antietam) presents a huge Civil War battle scene depicted trough an array of clashing U.S. and Confederate flags. The intervening of conflicting motifs and layers of paint make this art piece almost a tactile experience.